Artist Elisa Liu and Musician Bryant Koh have come together to put up an exhibition and multidisciplinary showcase where they’ll take audiences on a journey to find the light within. This event consists of an exhibition of Elisa’s paintings and a live performance of original compositions by Bryant Koh. The duo will also be giving an artist talk at the exhibition opening to share their experiences and creation process. Join artist Elisa Liu as she takes you on a tour around the ‘Landscapes of Our Minds’ exhibition. She will be sharing with you the thoughts and inspiration behind her artworks, as well as insights on the painting and finishing process. After the tour, she will share how you can find your creative voice and create unique works of your own. 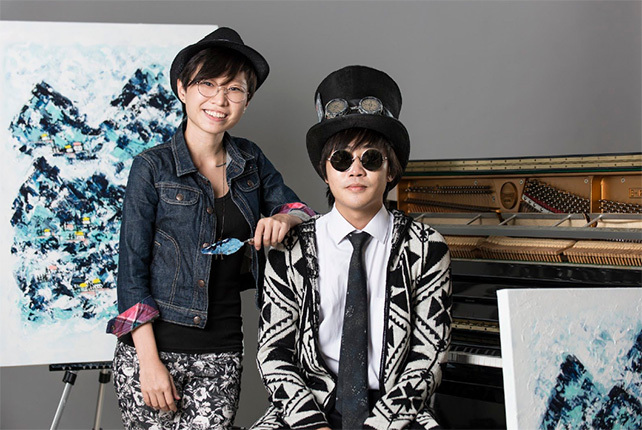 To wrap up this event, Musician Bryant Koh and Artist Elisa Liu will be appearing for an intimate meet the artists session. View the paintings, hang out on the sofas, chat with them about their inspiration and artistic process. You can even challenge them to a round of Mario Kart!